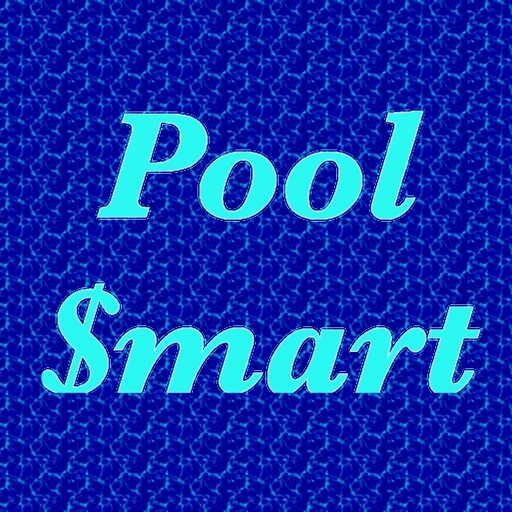 Save money while maintaining your pool ! 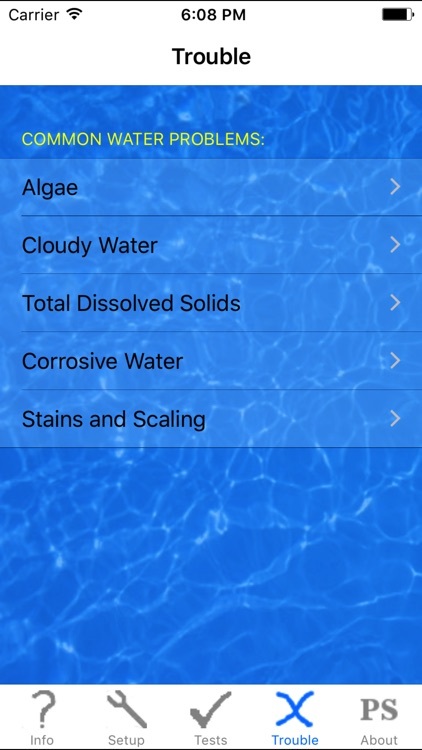 By understanding how to maintain water balance, you will use fewer chemicals to keep your pool sparkling clean. 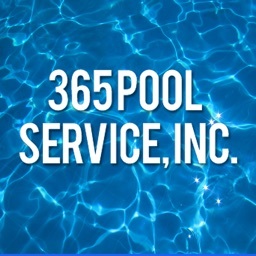 Used by residential pool owners and professionals around the world. 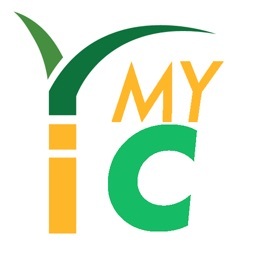 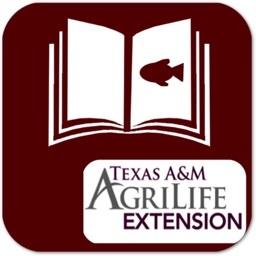 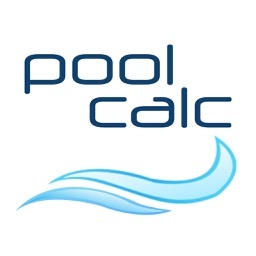 Twenty+ years of first hand pool experience is presented in this app ! 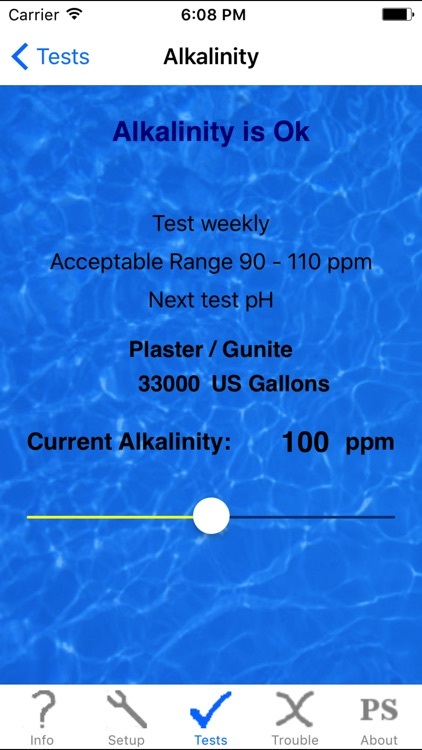 Pool Smart teaches you the basics of water balance and provides a checklist for testing your water. 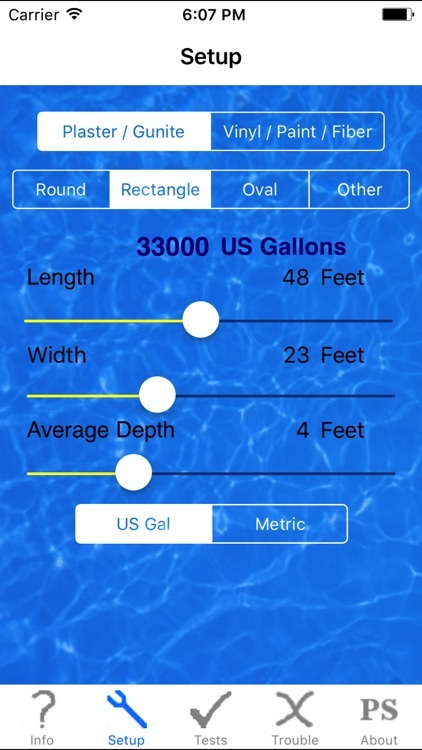 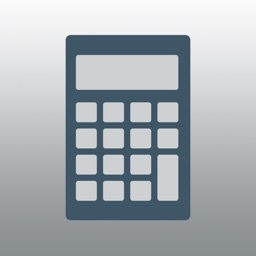 Based on your pool size and construction, Pool Smart calculates the exact amount of each recommended chemical to use. 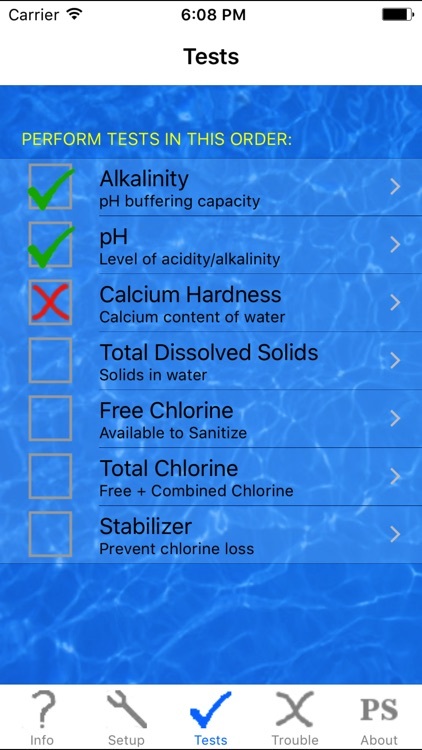 Forget the complicated tables on the chemical containers! 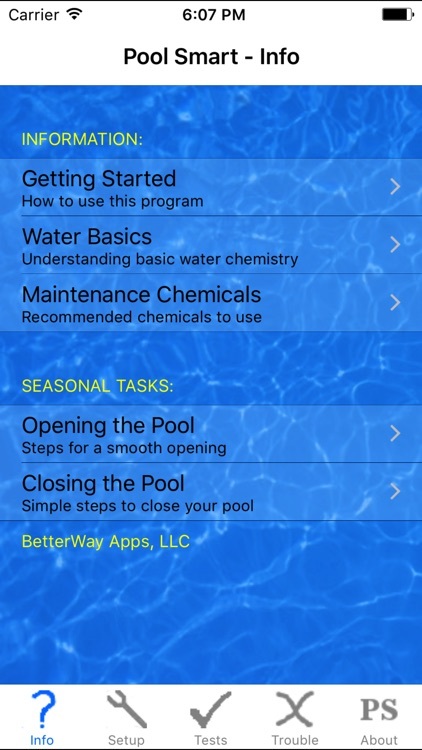 Take the guess work and frustration out of pool maintenance, and use Pool Smart as your simple check list to achieve a season of sparkling water and savings !